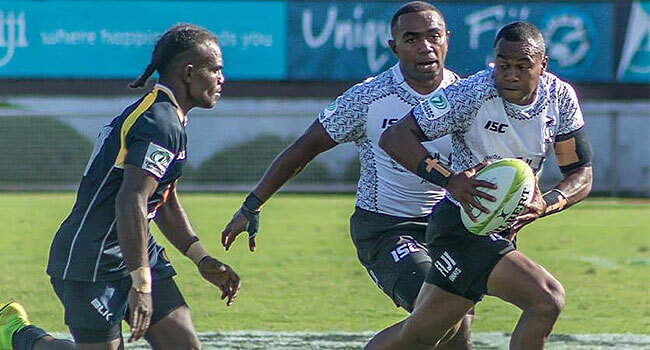 The Fiji Airways men’s 7s team has won its first pool match thumping Solomon Islands 47-nil in the Oceania tournament currently underway at ANZ Stadium in Suva. The Gareth-Baber-coached side led 21-nil at half time. Skipper Kalione Nasoko, Waisea Nacuqu and Alasio Naduva scored the tries in the first half. Napolioni Ratu, Beniamino Vota, Filimoni Botitu and speedster Apenisa Cakaubalavu got the tries in the second spell. Fiji faces Papua New Guinea at 8.06 tonight. In other matches played this afternoon, New Zealand thumped Nauru 62-nil, Australia defeated Vanuatu 50-nil and Samoa thumped Niue 64-nil.